Superchips includes impressive pre-loaded tunes in each Dashpaq+ product. Our team is aware that many consumers do enjoy equipping their cars, trucks, and SUVs with products to hit the race track. The advantage you have with Superchips and the Dashpaq+ is a pool of resources that extends beyond the Superchips brand. 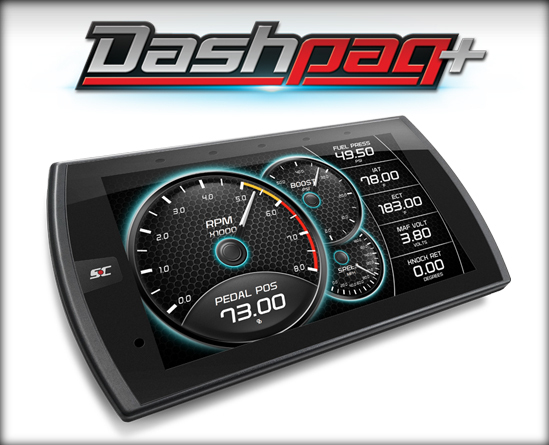 Dashpaq+ has select SKUs that are compatible with DiabloSport’s CMR custom tuning software. DiabloSport is a sister brand of Superchips and has a custom tuning suite designed to let you take your Dashpaq+ to a 3rd party shop for building a custom tune specifically for your vehicle. *The Dashpaq+ 2-year powertrain warranty is not valid for any custom tunes loaded by 3rd party shops. If you are in need of a 50 state tool, you will need to be sure to shop and select a Superchips SKU designated as 50 state legal. Please note that these 50-state legal SKUs will not have the option to custom tune. How Does Custom Tuning Work? The CMR tuning software taps into factory PCM’s and unlocks the vehicles true potential! Tuneable parameters include spark timing tables, fuel tables, Volumetric Efficiency, Power Enrichment, MAP Resolution, MAF curve adjustment, and many more! Using CMR users can calibrate support vehicles from street cars with light bolt on modifications to 1,000 HP Race cars! Every vehicle tuned with CMR will require a Superchips Dashpaq+. Tuners will develop their calibrations on the dyno with the CMR tuning software, load it onto Dashpaq+, and then program the vehicle with that device. The Dashpaq+ can hold 5 custom tunes.